My husband and myself, as John Snow and Daenerys Targaryen (Game of Thrones). 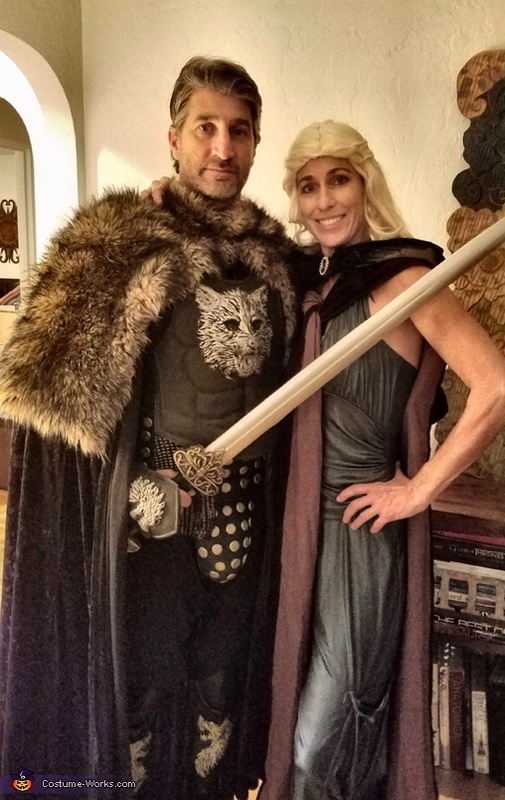 An avid "Game of Thrones" fan, I jumped at the chance to shop all my local Goodwill stores to put together the pieces of our costumes. I tried to get our 11 year old to dress as a dragon (since I am the Mother of Dragons, after all), but she wasn't game. But it made a great Couples Costume for my husband and me!